Last week the Polish city of Krakow passed a law banning coal-fired stoves and domestic wood burning — to take effect in 2019. The decision, which was mooted way back in October, came just a month after the EU commission said it would take Poland to court over its longstanding air pollution issues. 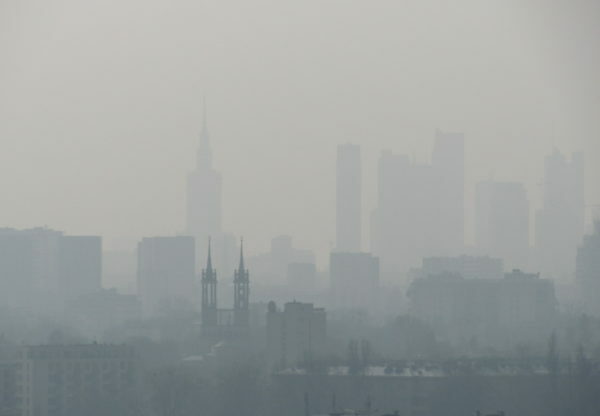 It’s estimated that Poland’s high pollution levels cause over 40,000 premature deaths a year, with toxic dust from home coal furnaces, along with industrial and transport emissions, killing ten times as many people as road accidents. The Krakow ban could have profound implications on the country’s already troubled coal sector — especially if other cities follow Krakow’s lead. Poland adopted an anti-smog law in the run-up to its parliamentary election in October, but the law – which places the responsibility to act (and pay) on local authorities – was deemed insufficient by the Commission. Only Krakow, one of the dirtiest cities in Europe, has so far announced its intention to ban household coal burning. The recently elected Law and Justice party initially opposed the law and threatened to amend it if the impacts were too disruptive for the coal industry. But the far-right party has largely given up on that fight since it would mean Poland would have to pay millions of pounds for not doing anything about its air pollution, not to mention the growing pressure from the public. Why is Poland reluctant to act? Quite possibly because selling expensive quality coal to households is the main source of income for Polish troubled coal mines. Coal also fuels most of the country’s industrial power generation, but long-term contracts with energy companies force mines to provide coal at prices that are lower than production costs. No wonder they can’t stop losing money. Meanwhile, the retail market is big. 30% of energy that heats Polish homes comes from domestic coal burning. Its share is 10 times bigger than in other European countries (under 3%). Three quarters of the European homes that still use coal for heating are in Poland; an average Polish family uses around 3 tonnes per year, producing 8.5 tonnes of CO2. Coal is especially popular in rural areas where central heating (also coal-fired, of course) is not available. To deal with winter temperatures that are frequently below zero, 76% of Poles in villages burn coal and wood. Compare recent whole coal prices the the cost of coal for people buying for domestic consumption — Around 218 zl per tonne vs between 450 and 800 zl. The cost of production at the coal giant Kompania Weglowa is 280 zl per tonne on average, which means the company loses around 60 zl per tonne of coal sold at wholesale prices. A simple calculation reveals that selling a smaller amount of quality coal to households returns a much bigger profit: at least 170 zl per tonne. Essentially a coal producer would need to sell twice as much pulverised coal to power stations to earn the same million zl. To make ends meet state-owned coal producers want to keep retail buyers. And that’s why the Krakow ban is a big deal.